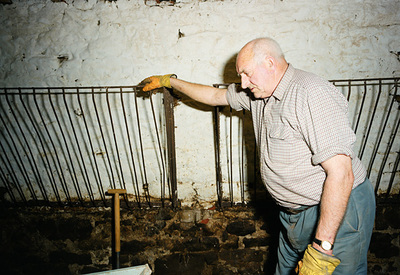 Darwell, John (2002) Brian, a retired shepherd, taking a break during the removal of the parlour floor from an infected farm building. In: Adams, Clive, (ed.) 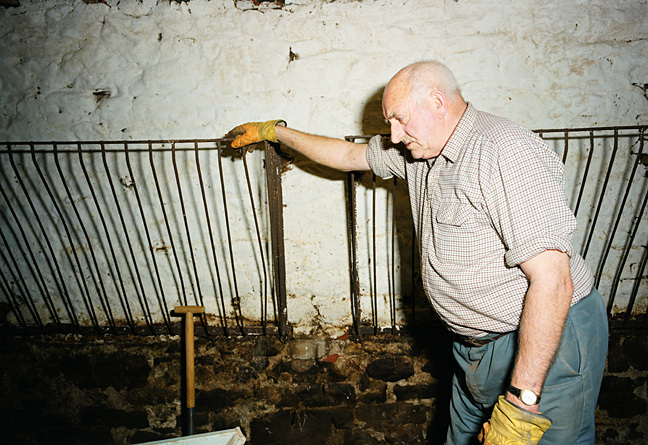 Love, labour & loss: 300 years of British livestock farming in art. Tullie House Museum and Art Gallery, Carlisle, UK, p. 2. An image from Darwell's series 'Dark days: foot and mouth disease in the Lake District and North Cumbria' was used as the opening image in this exhibition catalogue.